One of the best understood principles of cognitive psychology is that novices learn and think differently to experts. These labels are domain-specific, not person-specific; I can be an expert at particle physics whilst still being a novice at evolutionary biology. Or skateboarding. Similarly, you could be an expert skateboarder whilst knowing little of nothing about theatre design or ancient Tibetan languages. What this means is that we’re all novices at something, and many of us will be experts in at least one domain. To demonstrate how you think differently as an expert to how you think as a novice, let’s try a brief thought experiment. Pick something you consider yourself to be something of an authority on. Expertise is relative, so don’t be shy. If you’re a teacher you’ll be fairly expert at many of the things you teach. For instance, I know a heck of a lot about Macbeth. I’ve seen four different theatre productions and at least five different film adaptations. On top of that, I must have taught it to perhaps 20 different classes, several times as an A level text (although I’ve never actually studied it as a student.) I’ve also read several books of literary criticism. As a consequence, I’m steeped in the bloody thing! Not only do I know the characters and plot inside out, I can quote sizeable chunks of it. I know a fair bit about the context in which it was first written and performed and also about how its critical reception has varied over the centuries. Whilst I’d never have the hubris to describe myself as an expert – there’s always someone who knows a lot more – I’m not too shabby. In comparison, despite my grounding in literature as an academic study, I know practically nothing about French dramatist, Nicolas de Montreux’s 1601 tragedy, Sophonisbe beyond the fact that it’s about a Carthaginian woman who lived during the Second Punic War with Rome. Now, imagine I had to write an essay about each of these plays. If you gave me any essay question on Macbeth I’d feel pretty confident that I’d have something interesting – although perhaps not original – to say. But faced with writing about Sophonisbe, even if I had a translated copy in front of me, would be tough. Why might this be? Although I’m pretty good at essay writing and know how a literature essay is supposed to sound, I’d struggle to write much worth reading about Sophonisbe because I don’t know anything about it. I’d have to rely on guesswork, half-formed thoughts and trite stabs at close analysis. No doubt I’d do better than many other people who’ve never studied or taught literature, but I’m pretty sure that any literature undergraduate who’d actually read and seen the play would be able to outclass me. Basically, in literature – as in every other domain – specific knowledge trumps general ability. Now think about how poorly I’d be likely to do if I was assessed on organic chemistry, or tightrope walking. Our ability to pay attention is limited to about four ‘chunks’. These chunks can be very small – like the tiny smattering of Japanese vocabulary I possess – or pretty big like my knowledge of Macbeth. Experts ‘hack’ the limits of working memory by being able to draw on huge reserves of inter-related chunks of knowledge, allowing them to free up cognitive resources to enable them to think about the novel aspects of whatever they’re thinking about. Think of it this way: a novice struggles to see the wood for the trees. If trying to navigate through a forest they’d head in and hope for the best but would quickly become confused and lost. An expert would take time to survey possible routes through the forest; they’d think about other occasions on which they’d undertaken similar journeys. They’d plan their path and, if they did get sidetracked, would have a range of strategies both for noticing the detour and for getting back on track. The novice’s experience of walking through the forest would be completely different to the expert’s. We need to master various procedural knowledge to the point where we no longer have to think about it so that it doesn’t take up space in working memory. These automatised procedures are often so well embedded that experts are not even aware of them. Although we might not actively think about these things, we most certainly think with them. This lack of insight into the source of expertise is sometimes called the curse of knowledge, and can lead us into neglecting the teaching of the vital nuts and bolts on which expertise depends. When you learn to drive, concentrating on your feet, hands, mirrors and the environment outside the car requires enormous cognitive resources: you have to pay attention to everything. When you’ve been driving for a few years, the basic operations for changing gear and and taking a right hand turn have been automatised. Your working memory is free to attend to road conditions and make predictions about what is likely to happen in the next few seconds. Likewise, when writing an essay, a novice will have to pay attention to such minutiae as punctuation, capital letters, sentence structure and academic tone. With practice, these things can be automatised allowing much greater availability of working memory to think about the content of the essay. This is equally true of any domain of expertise: the less attention we have to give to the basics, the more we can think about what matters. The second area – the ability to see ‘deep’ structures – comes with the experience of thinking about domain-specific knowledge. The more we know and the more practice we have at identifying and solving problems within in a domain, the more likely we are to see through the superficial trappings of a problem to the underlying structures beneath. When we become aware of these structures we become increasingly able to transfer our ideas between contexts. The more I know about the domain of literature, the easier I find it to see connections between different texts. 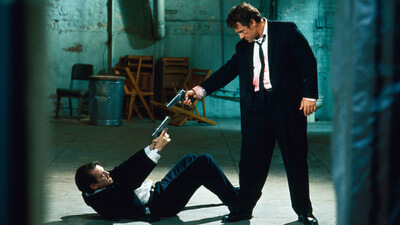 For instance, when I first watched Reservoir Dogs, with all its all long monologues and blood-thirsty revenge, and especially the set-piece stand-off in the final scene where everyone shoots everyone else, my immediate thought was, Oh, it’s a Senecan tragedy! How was I able to see past all the silly names and ear slicing to see this underlying structure? Well, I took Classical Studies at A level and had read a couple of the Roman dramatist, Seneca’s plays, then, as part of my English literature degree I’d been shown Seneca’s influence on Hamlet, as well as writing an essay comparing Thomas Kyd’s The Spanish Tragedy and Titus Andronicus. You could say I understood some essential dramatic principle but that would add an unnecessary layer of obfuscation – I simply knew more than lots of other people who saw the film and arrived at very different conclusions. Has not automatised necessary procedural knowledge Necessary procedural knowledge has been automatised. These strongly suggests that the continuum from novice to expert is what we most need to understand when designing instructional sequences for students. While our aim will be for them to become increasingly expert, we need to acknowledge that they will be novices for the greater part of their time in school. As a way forward, we might do well to implement the strategies Hattie & Donoghue suggest for surface acquisition with novices, and then, as students become increasingly expert, we might think about cautiously moving to the ‘deep’ strategies. I suggest that the ‘transfer’ strategies be reserved for the very end of an extended teaching sequence. And for those of you who like your models to be a little more complex, the Dreyfus model of skill acquisition may be more to your taste. The Dreyfus brothers proposed that expertise develops in five stages: novice, advanced beginner, competent, proficient, and expert. I’m not sure we need all these categories, but if you like them then I can’t see as they do any harm. The novice-to-expert process reminds me of how compression (sorta) works: http://nautil.us/blog/the-math-trick-behind-mp3s-jpegs-and-homer-simpsons-face. Instead of storing the information for every pixel of an image, for example, a compressed file will store a pattern which it has found in the image (say, for one section of the image, the rgb values fade almost linearly from brown [165,42,42] to white [255,255,255]). This pattern is then used to recreate the image, rather than the information for every pixel. So, it can save a lot of space. How can we pay attention to it if it doesn’t take up space in working memory? We do. Think about what happens when something goes wrong with an automatised process. Or why using a phone when driving increases risk. We’re paying attention all right. Driving is *not* an automated process. The physical movements involved in changing gear etc are automated. Monitoring road conditions requires attention. It is this that talking on the phone interferes with. How do you know that? As in, how can teachers differentiate between the ‘automatised’ components and the ‘monitoring’? How can teachers differentiate between what can and can’t be automatised? Really? You might as well ask ask, how can they dress themselves in the morning? This is interesting, because I’ve always struggled with the idea that we can’t teach transferable skills. I think that your idea of transfer within a domain through developing expertise may suggest how. As we become more expert in a domain, or perhaps unrelated domains, do you think that the radius of transferability, as it were, could enlarge and these ‘spill’ into each other. In other words, we develop an understanding of how our knowledge in one domain, applies to another and vice-versa – and even how it might be applicable in new areas (i.e. creativity). “I’m steeped in the bloody thing” – love what you did there! Probably I’m stating the obvious, but isn’t this rather “skill-specific” instead of “domain-specific”? For example, evolving from novice to expert in “solving a quadratic equation” instead of in “mathematics”? IMHO, during K-12 everybody is going a LOT of times through the novice-expert continuum WITHIN each domain. Therefore, instead of “being” novices for the greater part of their time in school, I would rather say that everyone “becomes” a novice (and an expert) again and again throughout life. Yes!! I agree with this, I wanted to say something like it but couldn’t think how to. I think it’s important that we don’t assume students can’t be ‘expert’ yet. This kind of explains why even very young learners can do, and benefit from, ‘investigation’ and problem-solving, when it’s done skilfully so that they expand their horizons without suffering bewilderment. Also I’m not sure it’s clear where ‘expert’ begins, either for the topic in hand, or (fascinating but much harder to pin down?) the transfer/overview/metacognition thing that julietgreen is talking about, which also makes sense. Is there a definition of, or way to assess, ‘expertise’ ? Your example of Macbeth presupposes that we’re all agreed on a) what knowledge about literature is and b) ‘knowledge about’ literature is more useful than other ways of responding to literature. re a) one ‘school’s knowledge is different from another e.g. formalist, semiological, historicist, structuralist, psychoanalytic etc etc and a knowledge in one may be an equal ignorance in another. It’s only GCSEs and A-levels which narrow the ‘knowledge about’ to certain key approaches. re b) is more problematic. Take Romeo and Juliet. Stanley Wells or anyone else we might nominate to be the world’s greatest expert on Shakespeare might well have more ‘knowledge about’ the play but in terms of quality of response it may well be that someone who is 13, male or female, may spot something that the great expert misses. I can think of an example from some work I was doing on ‘Hansel and Gretel’ with some 9/10 year olds. When we considered the point of view of the children in relation to them discovering (the second time) that they had been abandoned, one child said that she would think ‘What have we done wrong?’ Like you, David, I might say I fancy myself as not too shabby on the Grimms, having read a score of books, been to the Grimms museum in Kassel, made 2 radio programmes about the Grimms, had long chats with Jack Zipes about them, and taught several MA classes on Grimms/folklore etc. In all that time, I had never thought (mea culpa) that a perspective on that story could be that – in psychoanalytic terms – the children might self-blame. There is of course ‘room’ in the story for that to be a feasible and plausible response. Indeed, in the repressive family structure described at the beginning of the story, there is more than every possibility that children might or would introject the power structure of the family. It’s the territory explored in Hanneke’s film ‘The White Ribbon’. So, I’m not sure who is the novice at that moment of the 9/10 year old’s response. The child or me? Or consider a work-pack given to Yr 7s on Oliver Twist and the scene in which Bill Sykes kills Nancy. It was an impressive run-through the apparatus required to answer a question on the scene at GCSE level: linguistic, structural, ideological, contextual….it was so thorough. It was, if you like, a key text in taking a Yr 7 from novice to not-novice. One problem, at no point in the whole apparatus did it mention that when Sykes hits Nancy over the head with the gun, that Nancy clings to Bill. It’s a horrific image. The woman being murdered is holding on to the man doing the murdering. She doesn’t protect herself or defend herself. I suspect that if a teacher asked a class to either mime, or ‘tableau’ this scene, they would have to enact this moment. And indeed, off the back of it, they/we would discuss what it signified. And indeed why Dickens portrayed it this way. So why or how did this excellent, thorough, clever teacher (or group of teachers – if the work-pack was written by a group of teachers) miss the imagery of this iconic moment? I suspect because the pack was itself overly wedded to the noviciate approach, and therefore overlooked the slower burn of the sign-making of the images that Dickens had created. I don’t for a second think this is ‘getting something wrong’. I just think that it’s not easy fitting literature into this model because ‘knowledge-about’ may not necessarily lead you (I mean ‘me’) to crucial (in the true sense of ‘crux’) moments, of emotional and ideological significance. Michael your going off on a tangent again. Different schools may structure their approach differently but in all your examples they are gaining knowledge which will then be used to interpret the text. The form that knowledge takes is a separate discussion to the need for it. Your example of a novice spotting something a expert missed is obviously true but nevertheless trivial. A large class of novices is statistically likely to notice something a expert missed (or more likely failed to mention this time). Winning the lottery isn’t proof of my ability to select winning numbers. Your final point (missing iconic imagery in your example) is hardly helpful. Why is not covering that imagery anything other then a curriculum design choice? I was suggesting that perhaps literature is a case in which ‘knowledge about’ is not the only key to unlock meaning. It’s not about, as you say, noticing something an expert missed. It’s addressing the fact that response to literature involves different modalities of response. re the last point: I’m suggesting that ‘knowledge about’ doesn’t necessarily arrive at ‘right’ or even ‘the most important’ responses. This is not a matter of curriculum design. It’s about method. I’d also say that none of us has got the only, or the best method of understanding, or ‘reading’ a literary text. But the blog post is on the idea of differences in how experts and novices learn and should be taught. Literature is not unique in being a case in which “knowledge about” is not the only key to unlock meaning, it applies to every other topic. The focus on knowledge is because the post is advocating cognitive load theory in talking about experts and novices learning differently. The theory argues that experts approach problems differently due to the vast amount of practice and experience they have (which can be acquired in different ways and this is what is meant by knowledge). You have changed the question again, and while not uninteresting I struggle to see it’s relevance. You know that thing where everyone (or nearly everyone) talked in the media about the ‘deficit’ and there was a consensus that the ‘deficit’ must be brought down, the deficit was too big…and it’s still the paradigm in most media outlets….big bad deficit. That was the way the ‘problem’ was and still is framed. Hours and hours of media time have been taken up discussing where to cut, how to cut in order to lower the deficit. And then someone says, that as the UK is a sovereign currency, technically speaking it isn’t possible for the UK to have a deficit. Some economists reply by saying that that’s ‘not relevant’, because everyone behaves as if there is a deficit. And the one or two people talking about sovereign currency say that that’s only partly true because out of sight the sovereign currency issuer is issuing currency, it’s just that it’s not going to reducing the deficit…. In other words, the ‘sovereign currency’ side of this discussion doesn’t talk about how to bring down the deficit, (where to cut, how to cut) but is contributing to the discussion by reframing it.